The Yale Bulldogs took on the Army Spring Classic this past weekend in West Point, NY. The penultimate ECCC race weekend was unlike most of our races so far this season....it was warm! We were graced with 60 degrees and sunshine for both days. 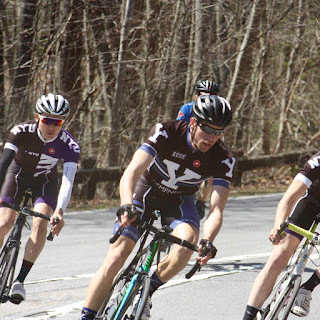 The weekend consisted of a team time trial and a road race on Saturday, followed by a criterium on Sunday. The course was a 7 mile out-and-back on a rolling stretch of road, with some uphills on the way back. The Bulldogs entered two men's teams to the time trial, an A team and a D team. The D team of Jordan Bravin, Rafi Bildner, Jackson Salovaara, and Will Botta rolled out first and cruised their way to a first place finish, covering the course in 20:21.54 and finishing over 46 seconds ahead of the second place team! 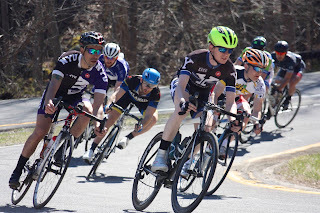 The men's A team of Michael Grome, Michael Landry, Michael Moore-Jones, and Brian Drollette pacelined effectively after a bit of an unorganized start. They covered the course in 18:22.96, good for 6th out of 10 teams. The road race covered a 14 mile loop and was arguably the most technical and challenging course so far this year. 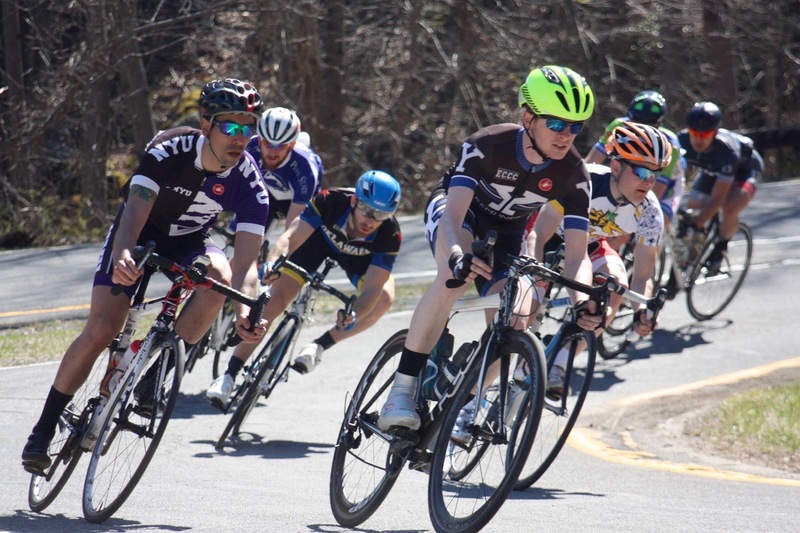 Immediately after the start/finish line, racers were faced with a 2 mile descent into a sharp left hairpin turn into a 3 mile climb. Several pileups occurred on the turn as many riders found it more challenging than expected. To open the day, the men's and women's D races rolled out for 2 laps. Jackson and Rafi navigated the course effectively, working with others to cross the line with a few minutes back from the lead group. 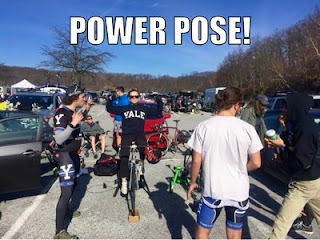 Liz "enjoyed a lovely scenic ride around Lake Welch and successfully kept the rubber side down after an effective warm-up of killer dance moves." Need she say more? descent at 40 mph. He suffered a concussion with road rash and bruising, but considers himself lucky compared to some of the other riders in the accident. Brian was ahead of the crash, but found himself caught up in another pileup on the climb of lap 2. He got back on his bike but was unable to regain contact with the lead group. He worked with 15 other riders off the back to cross the line nearly 7 minutes behind the leaders. 3 of 4. Three racers bridged the gap and the four of them agreed to work together for the remainder of the race. One racer went down on that same turn on the last lap, so the lead break was down to 3. With 2km to go Landry attacked and was able to hold off the others as he crossed the line in first, 15 seconds up on the chase group and over 4 minutes ahead of the peloton! To wrap up the weekend, the Bulldogs raced on West Point's campus for the criterium on Sunday. The course was short with 3 turns and great for spectating. Jordan and Jackson dominated the D race, or as Jordan likes to call it "taking out the kids on a training ride." His aerodynamic obsession and Jackson's natural talent worked to their benefit as they crossed the line for 3rd and 4th! 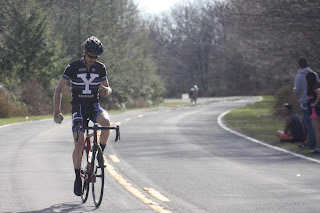 Will, coming off of an injury, raced to a solid mid-pack finish in the C race. In the B race, Landry rode aggressively at the front and worked a couple of breakaways. 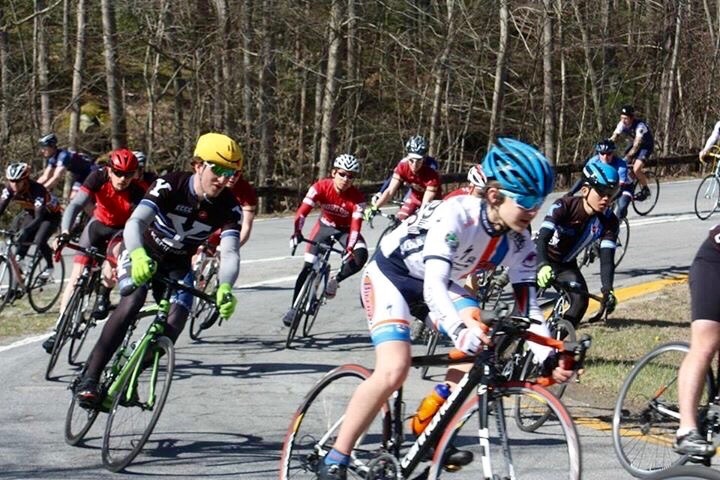 The break was caught with 4 laps to go, so after regrouping he moved to the front and sprinted to a 4th place finish! Grome in the A race rode at the front, scoring a few points in the prime sprints, and attempted to bridge the gap from the peloton to the breakaway near the end of the 60 minute race. 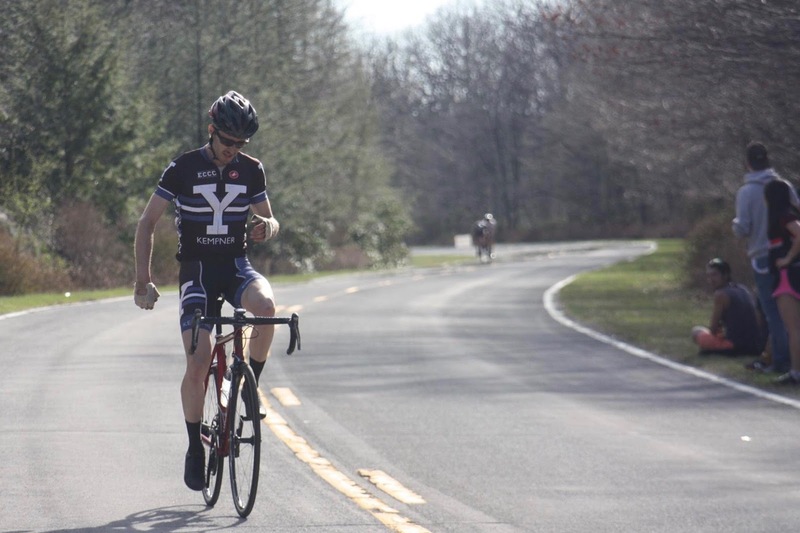 He was caught by NYU's team tactics and finished with the peloton. 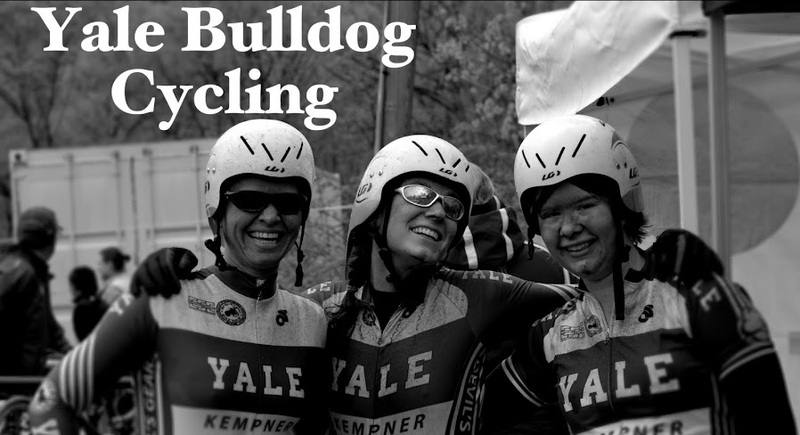 All in all, it was a great weekend for Bulldog cycling. The weather kept everyone's sprits lively and we had fun (except for the hospital visit). Next week the ECCC season wraps up in Warwick, MA. Only 1 race weekend to go!